Successfully Added Car Rear View Camera with Night Vision - 1/4 Inch CMOS, 130 Degree Viewing Angle, Weatherproof to your Shopping Cart. 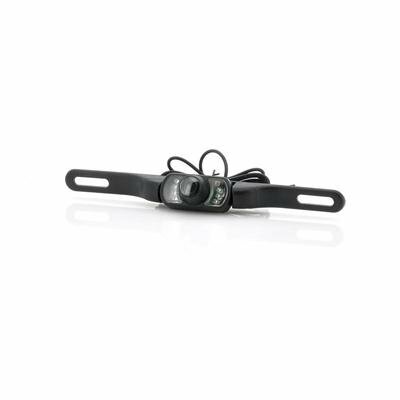 Car Rear View Camera with Night vision, 1/4 Inch CMOS, 130 Degree Viewing Angle, Weatherproof and more. Backing up in a tight parking spot isn’t always easy. Sometime your rearview mirrors aren’t enough to fully see what is behind you. Thanks to this rearview parking camera, those day are over. Attach the camera to the back of the car and hook it up to your car’s DVD player or any other screen and comfortably back up in even the tightest parking spot. Also perfectly suited for maneuvering with a trailer behind your car, this camera makes any parking job easy. 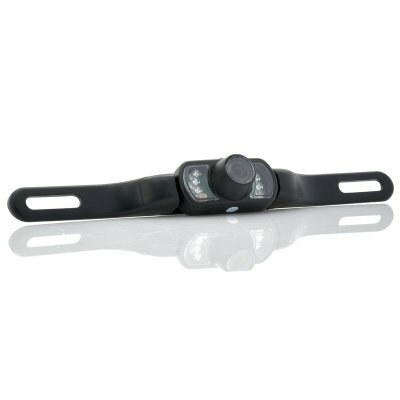 The 7 IR night vision function will turn on automatically in low light conditions and makes parking easy 24/7! On top of that, the 130 degree wide angle camera will capture as much as possible of the environment to give you a full and clear image of what’s behind you. Best of all, this camera can be easily mounted on the back of your car and is powered directly by your car’s battery. Once it’s in place, you’ll never have to worry about it anymore! Now in stock, this parking camera can be shipped out within one working day and comes with a 12 months warranty. Brought to you by the leader in car accessories and cameras, Chinavasion. Great value for money and works perfectly had it fitted to a 2 din head unit bought also from this site. Product code for head unit was: CVACS-C250. I am very with this purchase.